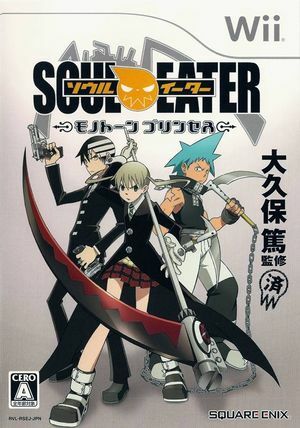 Soul Eater: Monotone Princess (ソウルイーター モノトーン プリンセス, Sōru Ītā Monotōn Purinsesu), an action-adventure video game exclusively for the Wii and developed by Square Enix with Bones was released on September 25, 2008 in Japan only. Grimoire (グリモア, Gurimoa) and Ponera (ポネラ, Ponera) are two original playable characters exclusive for the game designed by the author, Atsushi Okubo. Ponera is the Monotone Princess and Grimoire is known as Noah in the manga. The graph below charts the compatibility with Soul Eater Monotone Princess since Dolphin's 2.0 release, listing revisions only where a compatibility change occurred. This page was last edited on 12 February 2018, at 11:17.